Amid the anxiety over the US and China trade tensions, Asean nations should continue the multilateral negotiations to enhance the trades between the 10 countries. International Trade and Industry (MITI) Minister Darell Leiking said building robust economies collectively will enhance the trade bloc’s position against global tension. “The Asean nations should see the global tension caused by the US-China tariff dispute as an opportunity to gain by merging and enhancing our economies together. “Although we are heavily dependent on China’s and US’ trades, we also have our own population within Asean that should work together,” he said at the 51st Asean Day in Kuala Lumpur yesterday. According to Leiking, the digital economy and e-commerce are at the centre of the Asean economies and trade talks as the nations are finalising the Asean E-Commerce Agreement. “Malaysians need to be aware of the business opportunities that can be generated from the Asean E-Commerce Agreement as it is set to facilitate the cross-border digital transaction and narrow the development gap between the Asean countries,” he said. Leiking said the Asean E-Commerce Agreement has been finalised and scheduled to be signed by all 10 countries at the Asean Summit in Singapore, in November 2018. “The harmonisation of the e-commerce frameworks across 10 countries will take time and one of the initiatives that we are undertaking is the e-commerce agreement, which has been negotiated since 2016. 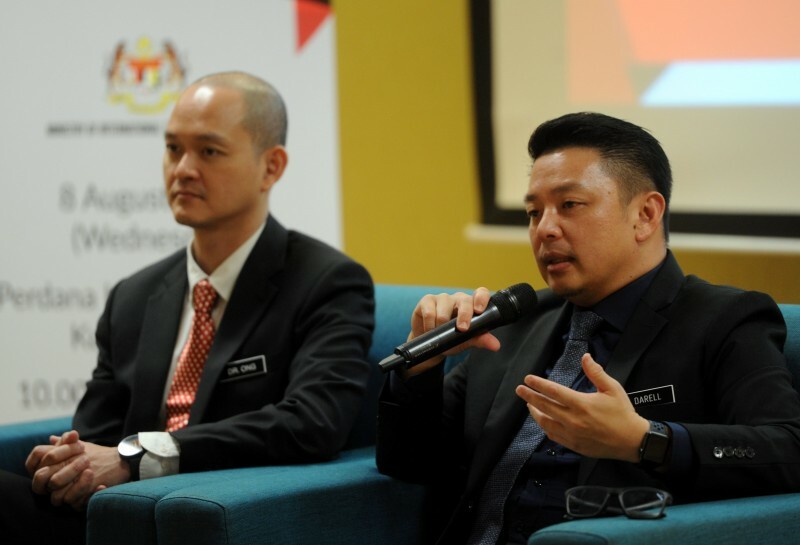 “The e-commerce will put an impact to our economy, particularly to the small and medium-sized enterprises (SMEs), which account for over 90% of Malaysia’s business establishments and still conduct business in the traditional way. “However, Asean e-commerce’s numbers are expected to increase in the next few years as the yearly economic growth for the countries are around 5% and the growing middle-income class consumers are consist of a young population,” he said. Citing a Google LLC and Temasek Holding Pte Ltd’s report, Leiking said the e-commerce trade between Asean countries will reach US$200 million (RM814 million) by 2025, driven by online media and online travel platforms growth. With the population of 641 million, Asean countries’ gross domestic product (GDP) is estimated at US$2.77 trillion collectively in 2017. “The economies in Asean countries, particularly in the e-commerce sector are encouraging. Asean nations have close to 400 million mobile subscriptions and over 370 million people are connected to the Internet,” Leiking said. When asked about the imposition of the Sales and Services Tax (SST) to e-commerce-based products, he said he does not think that the items will be subjected to tax. “We will have to wait for the full list of the items that are imposed and exempted from the SST, but as far as I know, there has not been any talk on subjecting online-based products, such as the banking-online products, to tax,” he said. Leiking said Malaysia’s digital economy is expected to contribute 20% to GDP, while e-commerce about 11.9% by 2020. In 2016, the digital economy contributed 18.2%, or RM224 billion, to the national GDP, while the e-commerce contributed 6.1% or RM74.6 billion.